Can also be bought with additional acreage if more space needed! 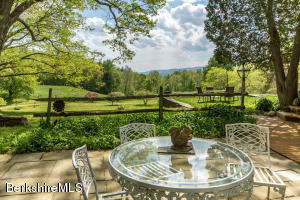 This historic estate is close to downtown while maintaining privacy and a peaceful setting. There is over 5,000 sq ft of living area with 7 bedrooms, 4.5 baths including a Master Suite at about 900 sq ft! 10 plus seat main kitchen with a 6 seat breakfast kitchen along with 3 wood burning and working fireplaces. The whole house is heated with renewable energy and plenty of room for solar panels. Listed by Gary L. Fuls Jr. of G. FULS JR. REAL ESTATE CO. 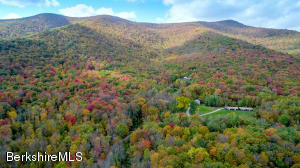 Located only 2 miles from Williams College on scenic Bee Hill Road, and in close proximity to the countless cultural & recreational attractions offered by the Berkshires. 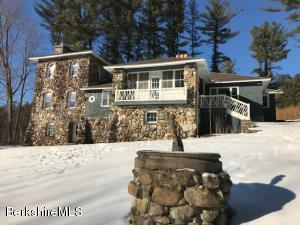 This 3 bedroom, 2 full bathroom, lovingly maintained historic Federal-style country home on 2 and 1/2 acres boasts a wide center hall, formal dining room and a fire placed living room, (one of 4 fireplaces in the home) as well as a separate study. The gourmet kitchen has been tastefully renovated, featuring a granite island and quartz counter tops. Entertaining family and friends on your beautiful deck and bluestone patio in your spacious backyard (with a tranquil pond) will be enhanced by the privacy adjoining state land ensures, with the added benefit of links to hiking and cross-country ski trails from your back door. 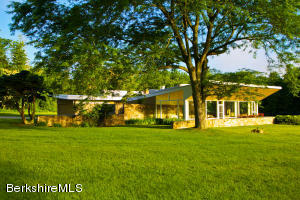 Designed by legendary Bauhaus architect Marcel Breuer, this Mid-Century Modern masterpiece is a rare, iconic work of art. Exemplifying the luxury of great modern design are Breuer's bi-nuclear floor plan, sculptural butterfly roof, brilliant use of stone, glass, wood & steel, and superb indoor-outdoor flow. Interacting beautifully with its surroundings, ''The Robinson House'' is privately set as the focal point of a 42.5 acre estate with a swimming pool, 900sf guest house with bedroom, kitchenette & sleeping loft, Hoosac River frontage, and private access to Hopkins Forest conservation land. 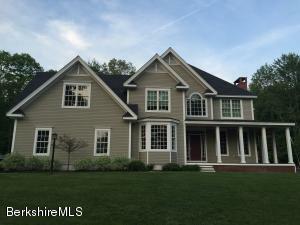 It is convenient to Williams College, Clark Art, Williamstown Theatre Festival, restaurants & shops, and the many cultural & recreational amenities in the Berkshires & Southern Vermont. Presenting one of Williamstown's finest historic homes, thoughtfully renovated and impeccably maintained. 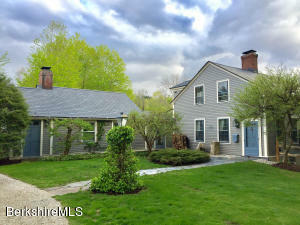 Set on a private 1.76 park like acres close to downtown Williamstown, Williams College and the Clark Art Institute. Spacious master suite with dressing area and fireplace, modern eat in kitchen with open floor plan, 3 additional bedrooms, 3 1/2 baths, office and many stunning original details. Extensive landscaping, stone work and water features create magical outdoor spaces for entertaining. A detached two car garage includes a storage loft, work area and heater. Recent upgrades include electric, heating system and roof. 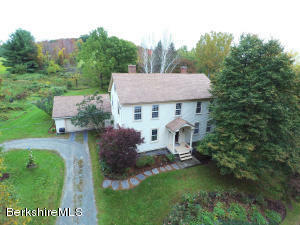 This remarkable C. 1800's colonial surrounded by 15.75 acres of open fields and meadows, abuts Williams College's 2,600 acre Hopkins Forest reservation. 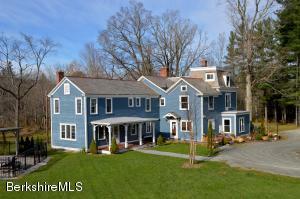 Rich in history, sprawling views of Mount Greylock set the stage for a one in a million view. This home is ripe with opportunity for a renewed vision and restoration. Enjoy gathering and relaxing in front of the two grand stone fire places. A third impressive, elegant brick fireplace awaits you in the kitchen as you relish cooking and dining for any occasion. The possibilities for the three outbuildings on the property are boundless. 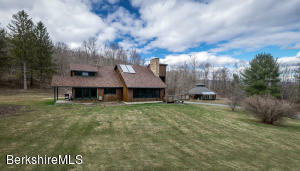 One of Williamstown's most unique homes is surrounded by almost 9 acres of hilltop property with distant views of the Taconic skyline. Extraordinarily built this home borders a 180-acre reservation of protected land http://www.thetrustees.org/places-to-visit/berkshires/mountain-meadow.html . Updated in 2010 this 9 room, 4 bedroom, 3.5 bath boasts 3 fireplaces, updated kitchen and laundry breezeway is a must see.This rare offering is a great opportunity to acquire a significant Williamstown property of grand scale, exceptional style and timeless architecture. With its many acres of land, full furnishings and immense livability this timeless, very special home is Williamstown at its best. This home needs nothing and is move-in ready!